A stove is never merely a source of heat. It must comprise part of the living room as a design object; one that generates ambience and comfort. 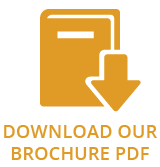 Our extensive range of fantastic stoves and heaters offers you a huge variety to choose from. We have models to fit every interior. The ultimate in gas fire size and luxury. 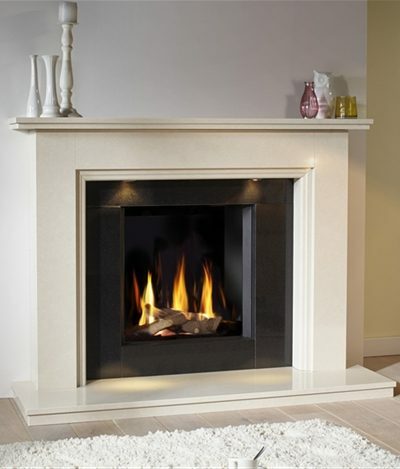 The Metro 150XT gas fire is the largest model in the DRU Metro range of hole-in-the-wall, frameless gas fires. It is 1.5 metres wide and features a fire bed of beautiful logs set off by a border of Carrara stones. The interior is in mirrored Ceraglass, creating added visual depth to the spectacular flame picture of the fire. It has a generous heat output of 10.8 kw (10.6 kw LPG), with an impressive efficiency rating of 78%, far superior to ordinary gas fires. 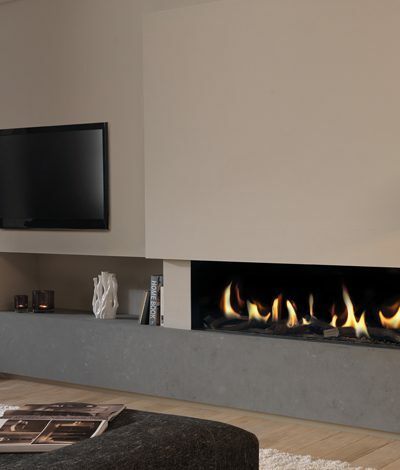 This sleek, contemporary gas fire can be installed in two alternative ways; at floor level or higher as a ‘hole-in-the-wall’ fire. 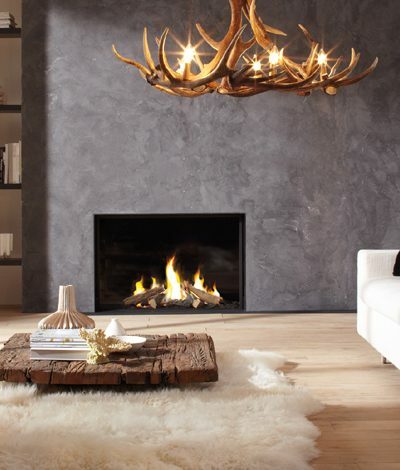 Either way, it makes a dramatic statement in any living room. There is a choice of authentic logs or smooth grey pebbles for the fire bed. The interior is available in mirrored Ceraglass, smooth black, ribbed cast iron or chunky wood effects. Global Beau is a classic, freestanding gas stove with a conventional flue that is designed to stand alone or be installed into inglenook chimneys. It is available in traditional black or a lustrous ivory finish, has an authentic log fire display and runs on natural gas or LPG. With a heat output of 3.3 kW it can heat an average sized living room, has high efficiency and remote control operation. With a narrow depth of only 33 cms, it will fit neatly into an existing chimney cavity with minimal building conversion work required. Global Beau has a large viewing window that gives an uninterrupted view of its realistic log fire display. You can adjust the height of flames and room temperature with the remote control. 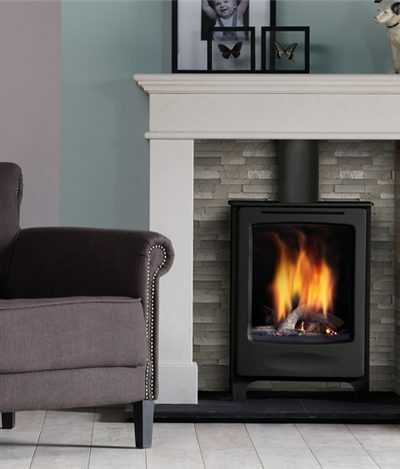 And as well as a choice of colour finishes, you can also enhance the beauty of your Global Beau gas stove with decorative chimney backgrounds in grey stone or natural stone finishes. What better way is there to enjoy those long winter nights or even chilly spring evenings, than to settle down in front of your very own warm, comfortable and stylish Global Beau gas stove.